In my 9 years of running Location Rebel, let’s just say I’ve made a lot of business mistakes. Did I just say nine years? Why yes, my astute friend, I did. This week marks the 9 year anniversary of starting this site, and sending my life down a path with which I’d never recover. Sending my life down a path that’s been much more fun, fulfilling and profitable than I ever could have imagined. Ah yes, that’s more accurate. For the past week, I can’t tell you how long I’ve hovered over this post, not sure what to write. I could do a sappy and generic thank you (but seriously, thank you! ), but that didn’t seem valuable enough. I also considered doing a recap of all the highlights from the past 9 years. And decided there’s a good chance the only person who would care about that is me. So in the end, what you’re left with is the following post. In it I reflect on 5 of my biggest business mistakes. These are the things I would have done differently looking back, and with each of them I try and provide some lessons on how you can avoid making the same mistakes, and what you can do this week to make positive progress on your own ventures. I’m going to let you in on a really embarrassing secret. It’s not nearly as big as you think it is. Our traffic numbers have been more or less stagnant for the past 4-5 years. And that’s been a frustrating problem that I’ve been attacking head on over the last few months. I do a lot with the traffic I do have. I’m very good at building relationships with readers. I’m very good at converting email subscribers in to customers. And I’m very good at getting results for the people who do decide to join our community. I’ve got the hardest part figured out. Yet, when it comes to traffic I’ve just continued to create more content and hoped it would rank, without being more proactive about it (until recently). In December, we ran ads for a couple of weeks. I spent around $750 to get 500 new sign ups. At least 10 of those (I think) can be attributed to new Location Rebel members. That’s over a 500% return on investment. Traffic is one of the easiest problems to solve, because you can pay for it through Google ads, Facebook ads, or any other number of channels. And the times I’ve done it? It’s worked. There’s a long story about why we stopped (hint, it has something to do with our recent site transition), but my mistake is not making this a priority years ago. Once I knew I could return positive ROI, there’s no reason not to grow our presence through the use of ads. If you have an online business, create and test your product funnel as early as possible, and run ads. Look at all of the biggest online marketers out there? Did they wait and spend years building an audience organically? Nope, they spent on advertising, and now many of them have followings just as loyal as we do here. Obviously there is more to it than just throwing money at ad spend, but with testing and a willingness to learn, it’s the fastest way to grow any online business. 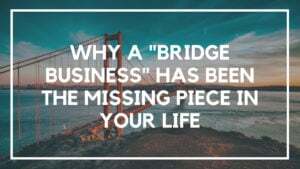 Many of you know that my “bridge business” or the way I transitioned from my day job to a full time online business, was in part from doing freelance SEO. Any optimization on this site. Quality content is important, but it means absolutely nothing if people can’t find it in the first place. For the better part of 6 years I really didn’t do anything to optimize my blog content. Fortunately, I got lucky and still had a few posts take off, but the majority of it? Crickets. When you don’t do that, you’re forced to spend a lot of time, effort, and money to go back and do it all after the fact. I’m right in the middle of this now. Here’s an interesting fact for you. Out of around 700 blog posts on this site, around 150 of them haven’t received a single view in the past 3 months. Many of these posts didn’t stand a chance regardless. They were poorly written, outdated, or irrelevant. But others, are good. The concepts are good. But because I didn’t have a plan for promotion or optimization, they languished in the dark recesses of our archives. As I mentioned above, ads are great, and they can fast track a lot of growth. But even better than that? Consistent, free traffic that solves a problem people are looking for. 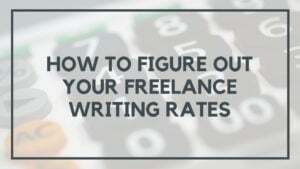 Install Yoast SEO on your site, and fill out fields for Title, Description, Keyword, and Social. Go back to relevant old posts on your site, and link your new one. 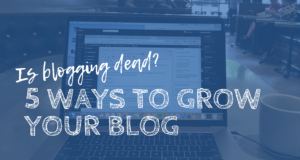 I’ll do a proper “how to optimize a blog post” soon, but in the meantime, this post will also help you assess where you’re site is as a whole. This is also one of our more popular posts on SEO as well. Earlier this year, I talked about how to be successful as a blogger in 2018, you needed more than just one “thing.” Don’t worry, you can still do the same thing now. Which I still firmly believe. Whether it be a social media network, podcast, video channel – you have to have another way to engage people outside of just your blog. For me, YouTube has always been the preferred platform. I enjoy doing video, but unfortunately, over the years, I haven’t been consistent with it. I started a vlog of sorts when I was living in Bali. Then I started it again in 2016. Then I did a daily vlog for a month and gave up on it. I don’t do video to become a “YouTuber”. Sure it’s always nice to see comments, likes, and shares, but the real reason I do video is because it’s the best way for my audience to get a sense of who I really am. It’s the easiest way to build trust, and show that I am who I say I am. BUT, I wouldn’t argue if each video I did brought in more people to Location Rebel. And had I been doing it consistently since 2011? I’d be doing a much better job of that than I am now. Regardless of what second medium you use to grow and promote your brand, stick to it. I often would make it a few months, not see quick results, and then move on. But if you’re consistent, continue improving, and take it seriously any medium you choose (Podcast, Video, Social etc) can make a huge difference. When I say “personal development” I don’t necessarily mean this in the woo-woo sense you often see in entrepreneurial circles. I’m thinking more basic than that. Eating well. Drinking less. Exercise everyday. Reading on a regular basis. The small things that we all know we should do, yet often have a tough time implementing over the long term. I’ve said repeatedly that the best thing I can do to grow my business, is to improve my health and my mindset. Those things mentioned above are exactly what I mean. I wrote this post years ago, as a bit of a reminder to myself to get back to basics and focus on the fundamentals. Every time I find myself in a rut or needing a kickstart, I go back to these essential aspects of life and within a couple days I start feeling better, which in turn allows me to perform better. Finally, if there’s one thing that remains constant it’s that the online landscape is always changing. Different types of business work, and then don’t. Different marketing techniques, work and then don’t. And if I were going to back and do it all over again, I’d spend much more time testing, tweaking, analyzing and improving every aspect of our site and business. I’ve fallen into a routine of “good enough”. The marketing is good enough. The blog posts are good enough. But they could be much better. And by not trying to improve upon the things that are already working well, I’m doing both myself and our readers a big disservice. One of the easiest ways to experiment is to get a service like Sumo (start with their free account) and test out different forms of marketing to grow your email list. Every time I refocus on this, I see a nice big boost, and as you begin to find things that work, you can optimize, and make it work even better. The last nine years have been more incredible than I ever could have imagined. The people I’ve met, the relationships I’ve built, and the success stories that have come out of Location Rebel have left me feeling so fulfilled and happy with the work we continue to do. I’m working harder than ever to continue improving the site, and to help you with your goals. So if there’s ever a way we can help you with your goals of making a change in your life or starting a business, please reach out and let me know.